Here are the last three Math Work Stations (for this “round”). We will start using them on Thursday this week. 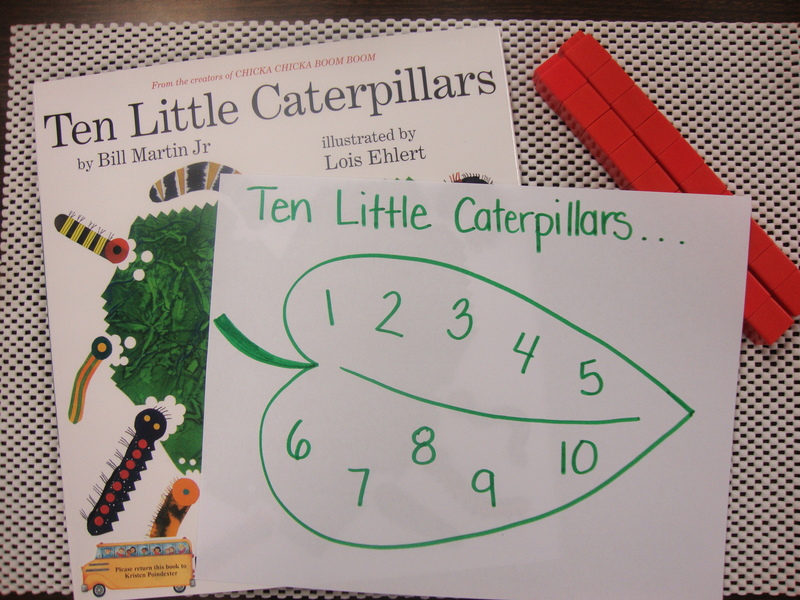 The children will read the story (after I’ve read it to them several times) and place a cube on each number after reading about that caterpillar in the book (Ten Little Caterpillars by Bill Martin Jr.). This is an activity I just got from Lakeshore. The children roll the blue die and build the shape that comes up. 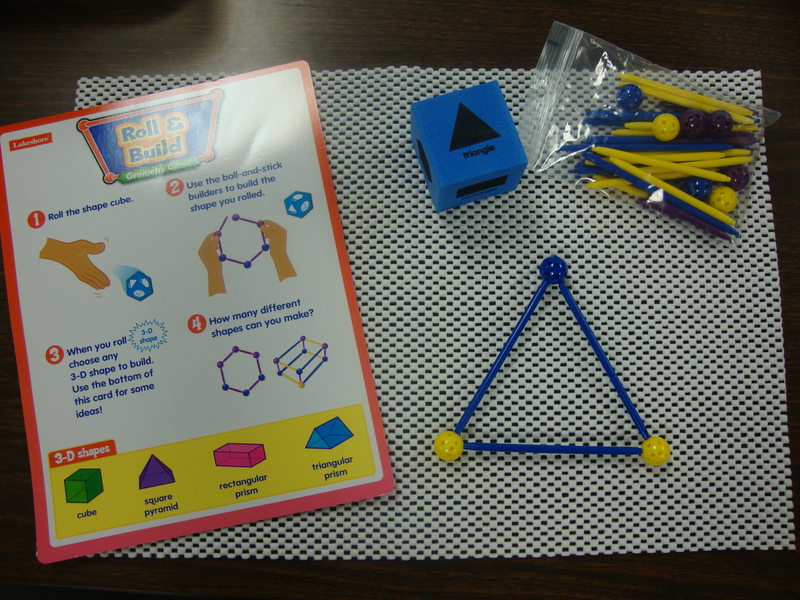 There is a “3D Shape” bubble on one side of the die and if the children land on that they are supposed to build a 3D version of the shape the roll. I can see that working better later in the year, so for right now, I think if the children roll 3D Shape, they can just choose a shape the would like to build (unless they want to build a 3D shape). The 12th tub (we have 24 students) will be the students using IXL. 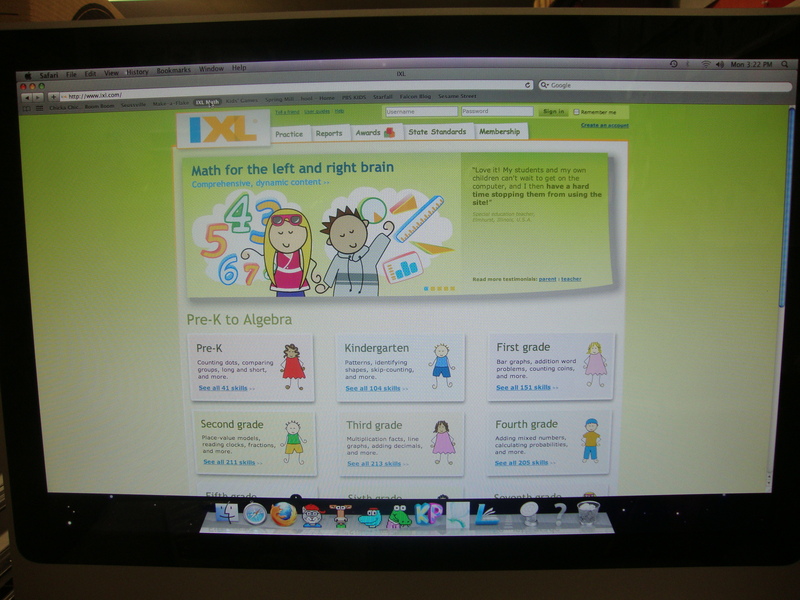 IXL is a math program my school uses to help supplement math instruction. Two children a day (as with all the tubs) will be using IXL and be working on items related to our Common Core Standards in Math. Posted on September 13, 2011, in Math Work Stations. Bookmark the permalink. 1 Comment. Is the IXL website a paid ssubscription? 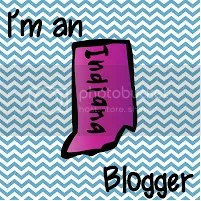 Just wondering….